Milan-San Remo, one of the five one-day monuments of the sport, is the first big race of the season and. As such it generally attracts an enormous amount of interest from the media who, starved of cycling through the winter months, now have a big race to focus their attention on. Added to this is the fact that for Italian riders this is the one-day race - an unofficial Italian championship. An Italian rider who wins here doesn't have to perform again for the rest of the season. The race is incredibly long. At 294 kilometres (about 185 miles for the imperially minded)it harks back to a bygone era when races were much longer than they are today. The route is very straightforward. The riders leave Milan from the piazza outside the cathedral, head across the plains of Lombardy towards the Liguran coast, climb the biggest climb of the race, the Turchino pass, drop down to meet the coast west of Genoa then follow the coast road all the way to San Remo. In the closing 75 kilometres there are a series of strategically placed hills, or capos, that gradually eliminate the wheat from the chaff to leave a select group of riders who fight it out amongst themselves for the win. These hills are quite short - never more than five or six kilometres in length - but a combination of the length of the race, the lack of early season fitness and the fierce pace that the leaders set means they have a major impact on outcome on the race. The two most well known of these capi are the final two, the Cipressa and the Poggio. The Poggio is only five kilometres long but I doubt there are a more famous five kilometres of road in the cycling world. For this is the defining moment of the race and virtually every winning move has gone here. This is quite easy to explain: the race is held towards the end of March and the riders have only been racing for six weeks so are still reliant on their winter base for endurance. So, anyone with a good base has an immediate advantage because at this time of year being the strongest usually means the rider can create the decisive gap. Despite this, the race remains something of a lottery due to the fact that everyone knows that you need to attack on the Poggio, almost down to the exact spot: about a kilometre from the top is a false flat, whack it into 53x15 or 53x14 and give it full gas to the summit. Easy! others when it comes to winning Milan-San Remo. A curious mixture of riders have won the race in the nineties - a nicely balanced mix of who's who in Italian cycling (plus Gabriele Colombo) and a smattering of top foreign Classic specialists. Sean Kelly's win in 1992 was probably the craftiest. Moreno Argentin had attacked four times on the Poggio before getting a gap and he led by fourteen seconds at the summit. On the descent Kelly broke away from the chasers, took risk after risk on the twisty roads into San Remo, and caught Argentin as they passed under the kilometre kite. Too canny to move to the front after his effort to bridge up, Kelly let Argentin lead out the sprint and beat him easily to record the last major one-day win of a glittering career. The 1990 race was an epic. Torrential rain, a long, long break and a hectic, but ultimately fruitless, chase. A group went clear on the descent of the Turchino pass containing Chiappucci, Sorensen, Mottet, Lejarreta and Bontempi. 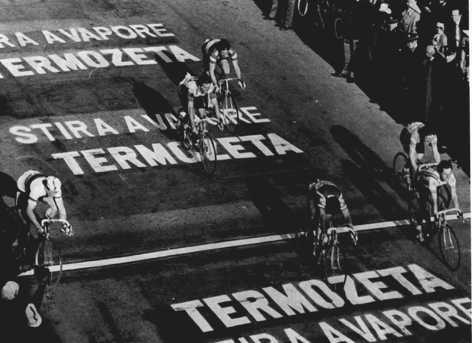 They never gained much more than a minute, but somehow managed to hold out despite the fugitives dropping one by one on the hills on the run towards San Remo. Only Rolf Sorensen and Claudio Chiappucci were left as they hit the Poggio and the Italian attacked shortly afterwards to win alone. Maurizio Fondriest's win in 1993 was a popular won, with the former World Champion confirming his undoubted class with a major one day win. 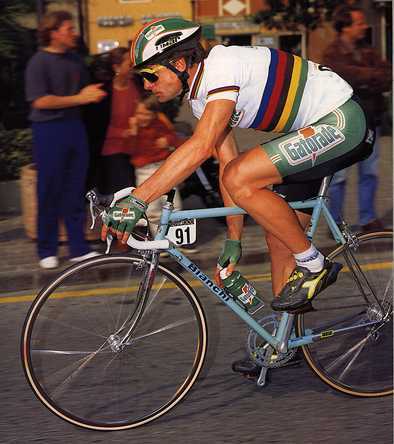 He'd won Tirreno-Adriatico the week before, as have so many winners of this race, and was a hot favourite to win. 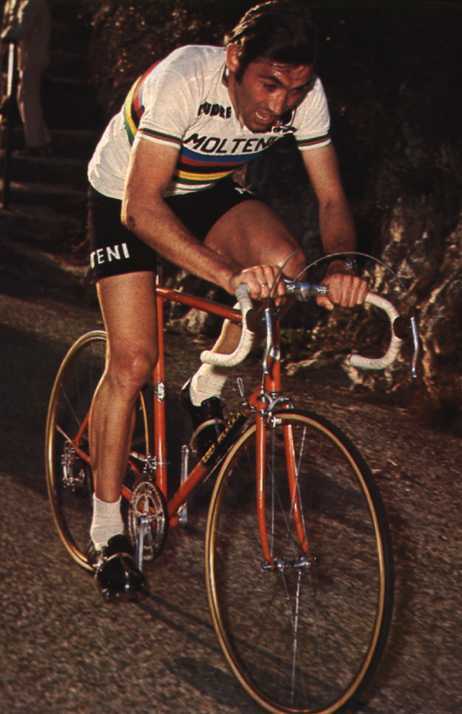 Despite being heavily marked he broke clear on the Poggio to win alone on the Via Roma, to the delight of the tifosi.